She let me choose the photos this week, and let me tell you, I had the best time going through her archives! I plan on starting from the beginning and working my way up to the present. You should consider doing that too! And hexagons apparently love her back! 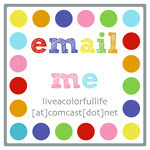 Carla, how did you choose the name for your blog? While flipping through a book, I saw the words "grace and favour". For whatever reason, I loved the sound of the two words together, and wrote them on a little piece of paper, and tucked it away. So much of our dealing with people depends on grace. 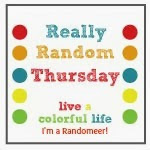 When I was thinking of starting a blog, I came across that little slip, and knew that would be the name. Grace is one of my favourite words--God's grace. I hadn't really considered another name as the blog came together rather quickly. Now that you are recognized by Grace and Favour, are you happy with it, or do you wish you could change it to something else? I'm quite happy with the name.. Because I am a bit of a hexagon nut, I imagine a different name would have to include something about hexies : ) For now, it's staying the same. Please go to Grace and Favour, and say hello to Carla. And spend some time looking around. You will be thrilled with all the inspiration. She is a great writer, a great photographer, and there are so many beautiful things to see on her blog. 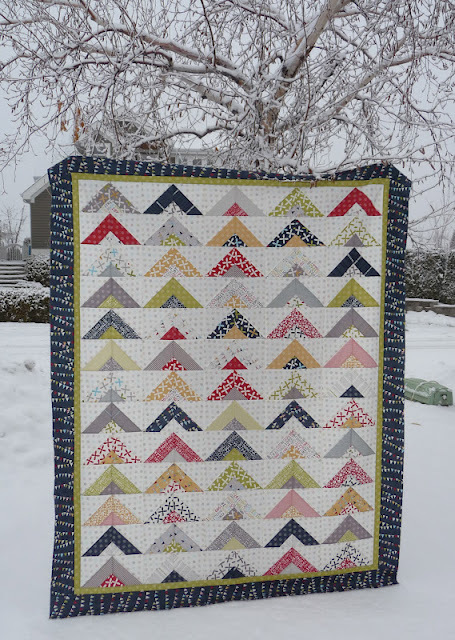 I'm closing with these photos of Carla's quilts taken in the snow...because it continues to be 100 degrees here in the central valley of California. Thanks, Carla, for playing along this week! Carla does beautiful work! Thanks for introducing her to me.....off to check out her blog! 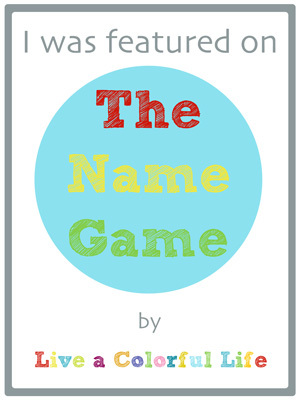 I love Carla - it's nice to learn more about how she named her wonderful blog! I loved reading about Carla (and her blog space is great!). 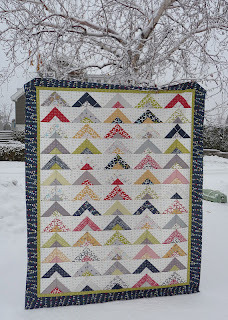 And what about that divine flying geese quilt - yours? Pattern? Tutorial? Where? Carla is great fun & does beautiful work - and oh those hexies!! Totally inspiring!! Carla is amazing! This is always such a fun feature to read -- thanks for sharing! Oooh, fab collection of work there, especially love the hexies! I have to say that Carla is one of my favorite!! She is the ideal blogger.....lovely projects, interesting to read....and a friendly person. I am a number one fan! Carla is one of my favorites....Grace and Favour is a great name. Carla is lovely as are her quilts! Her work is lovely! I love her hexagons. I've visited Carla's blog several times....such beautiful creations. I'm going to go back again! What a lovely name for a lovely blog: Grace and Favour. It almost has an old-fashioned virtuous ring to it. And so many lovely pictures--I love it when you showcase a blog and add lots of photos--never apologize! Carla is one of a kind! I have known her for many years and though I am not a quilter, I drool over all of her creations! She truly is full of grace and God has granted her favour in her fingers and her soul. Just catching this now that I know Carla thanks to you Cindy. It's always so nice to learn a little more about my bee mates. From Top Ten to Second Place!